Since its inception in 1989, Toyota Financial Services has grown to become the largest motor vehicle manufacturer-owned finance company in New Zealand. The business offers a range of vehicle finance, leasing and insurance products, delivered to customers via 50 Toyota centres nationwide – and through offices in Auckland, Wellington and Christchurch. 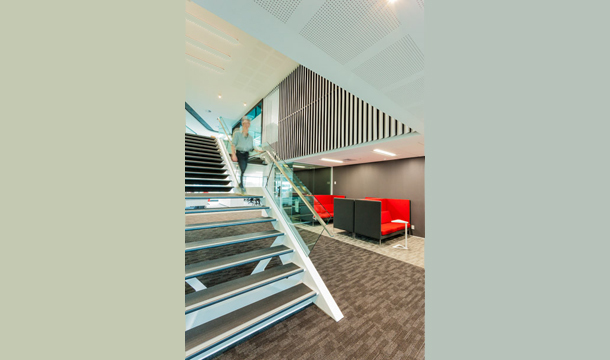 RDT Pacific provided Project Management services for the refurbishment fit out of two 1,532m2 office floors and joining the two levels via an atrium staircase. Refurbishment was also undertaken on the building’s common lobby areas, amenities and lifts. Our team managed all aspects of the design process, breaking the construction into two packages to allow the tenant to remain on one floor while construction progressed on the other, then managing the tenant’s migration to the newly completed areas. 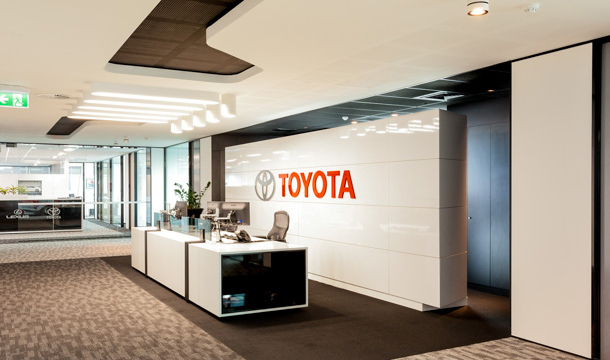 RDT Pacific’s scope of services for project management for Toyota Finance office fit out included developing a project programme and critical path. We updated existing preliminary cost estimates with the project quantity surveyor, and managed the design team during the preparation of plans and contract documents – monitoring the fit out design for compliance with the brief. Approvals were obtained for progression to each project stage, in addition to all necessary building and resource consents. 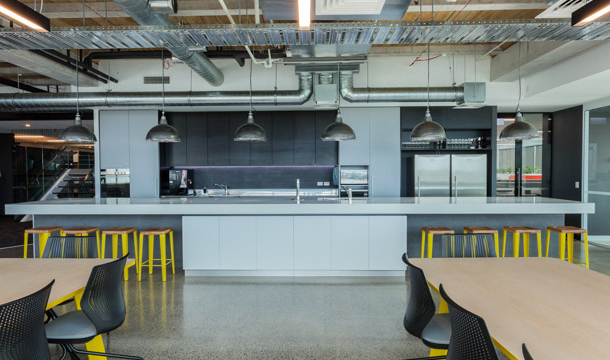 Key project challenges included ensuring that the base build and tenant design requirements were met, construction works were managed around the tenant’s occupation requirements, and a quality fit out was delivered on time. Our team helped to procure and negotiate with contractors, supervising the contractors during construction and providing regular, clear communication regarding intended activities on site.